Home » SEO » What are Nofollow and Dofollow links? There are 2 types of links you can have on your site. Nofollow links and Dofollow links. But what is a Nofollow link and a Dofollow link? Well, the answer is in the names. When the Google bots come across a Dofollow link they do exactly that. They follow the link to the end destination. With a Nofollow link the Google bots stay right where they are. 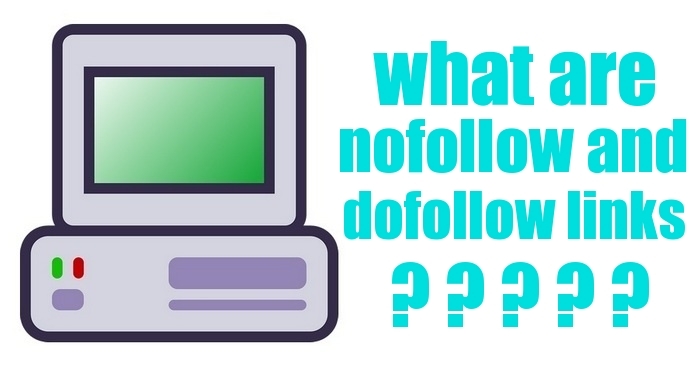 When you talk about Nofollow and Dofollow links there is quite a lot of terminology that goes along with this subject that needs to be understood like. Links are basically navigation from one page to another. And they are a key element to SEO and building traffic to your site. You are always going to hear that Dofollow links are best and yes they are because they come into the topic of Link Juice. Link juice is the authority of your site being passed onto another site. Imagine your site having lots of big authority sites linking to you and telling Google to go check out your site. You will shoot up the SERPS because you are an important site. Why else would another site send link juice to you? Well, you would use a Dofollow link if you were linking to another authority site because there is one thing that Google loves and that is providing the end user with the best experience and that is what you are helping to do when you link to a source that adds value to what you have written. Where this idea falls down is when you provide too many Dofollow links. If say you link out to 10 sites with a Dofollow link then have you written something of real substance? Probably not because your link to 10 sites to actually make what you have written better. You have effectively voted for 10 articles that your saying are better than yours or expand on what you have written. And that is way too many. And that is where Nofollow links can be used instead. They offer the visitor the opportunity to click through but then don’t pass on your valuable link juice. This true. They are great because they pass on link juice to the site that is linked to and this, in turn, helps build authority. Plus when you employ them you are also telling Google here is some content that will help give the visitor to your site the best user experience and help them find the information they are looking for. Google also likes this. This is also true. They don’t pass on link juice but they do provide vital navigation and this is absolutely key. We know that Dofollow links pass on link juice and will help you massively in the SERPS race. Consider this for a second. You write an article that ranks position 10 page 1. The articles in positions 1-9 then all link into you as an authority with a Dofollow link. What do you think the results of this happening would be? Of course, this never happens but it highlights why we want Dofollow links. But here is the thing. Google knows that Dofollow links are hard to come by. They really have to be earned. So the Big SEO Mistake is having way too many Dofollow links on pointing to your site because that just does it happen organically. There needs to be an organic balance between nofollow and dofollow links. If you have this your TrustRank will grow if not your site will suffer. The question is Does Google Trust your site? If not then an imbalance on your backlink strategy might be one of the causes. We mentioned Anchor Text above. Here is a brief description of what Anchor Text is. Anchor text is the clickable text in a hyperlink. SEO best practices dictate that anchor text be relevant to the page you’re linking to, rather than generic text. I had no idea about the do follow, do not follow links! Thank you. Always useful info!